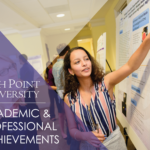 HIGH POINT, N.C., April 19, 2018 – At the end of each year, the High Point University community comes together to honor the academic and professional achievements of students. An array of awards highlighting impressive research, community service and positive impact made on campus are presented. Four top awards are also given to standout students who have emerged as leaders. An active student, Campbell career began her HPU career with a spot on the Women’s Track and Field team as a hurdler and sprinter. When not on the track, she’s taken an active role on campus and in the community. Campbell has been part of the Big Brothers/Big Sisters organization and the Volunteer Center. She is a member of Alpha Kappa Alpha Sorority and currently serves as president. Campbell was selected to represent HPU by serving as an active member of the Nido R. Qubein School of Communication’s Student Advisory Board. Additionally, she is the ambassador for the Sports Management Department. 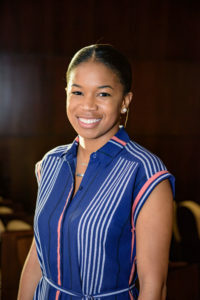 She’s held numerous leadership roles, serving as the pledge class vice president for Alpha Kappa Psi Business Fraternity and vice president for the Sports Management Association. She has interned with organizations such as USA Track and Field, Under Armour and IMG College. She will graduate in May with a Bachelor of Arts in sport management and will begin her career at the NBA headquarters in New York City. Johnson, a senior history major, came to HPU with a sharp focus and love for people. 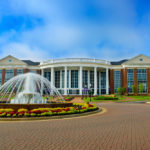 He arrived with a willingness to trust that the HPU community was a place that offered him the opportunity to grow and develop into a unique and powerful individual. Today, he is an admired and respected member of his graduating class. On campus, he has served as a Leadership Fellow, a program in which individuals are challenged to make lasting contributions to the global community not only for today’s marketplace, but also tomorrow’s. Johnson is a member of Beta Theta Pi, has served on the Interfraternity Council as vice president of judicial affairs and was elected president this year. 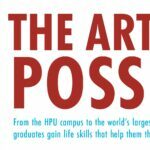 An HPU Presidential Scholar, Alexander came to campus with a strong desire to not only serve HPU, but the High Point community as well. 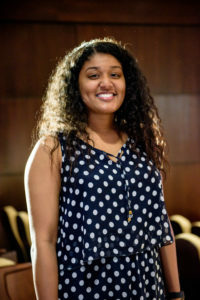 She has served as the lead captain for the First Year Navigator Program, acting as a familiar face on campus while offering support and guidance to freshman students. She is a leadership fellow, a member of the Exercise Science Club, the Physician Assistant Club, and she serves as a Bonner Leader, partnering with more than 70 colleges and universities nationwide to lead students in service. 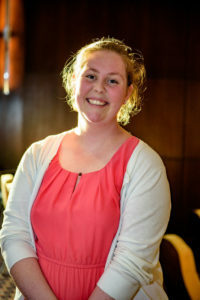 In her junior year, she was awarded with the Campus Compact Newman Civic Fellow Award, honoring her for her passion to serve, and this past fall was honored on campus as an Extraordinary Leader. She has volunteered more than 600 hours of service to the Macedonia Family Resource Center, organizing events, writing grants, working in the community garden and tutoring local students. She will graduate in May with a Bachelor of Science in exercise science and a minor in Spanish. She arrived to campus in 2014 as the recipient of HPU’s Presidential Founder Scholarship and was determined to be involved. Ulrich is the current president of the American Chemical Society at HPU and is the organization’s Student Government Association representative. She was instrumental in making Campus Outreach an official, charted organization. She currently serves on the SGA Executive Council as the chief of staff, and is on the HPU conduct/honor court as a student justice. Ulrich is a member of the Odyssey Club and has been on the Dean’s List every single semester. She was selected as an Extraordinary Leader and Junior Marshall and was inducted into the Order of the Lighted Lamp and Alpha Lambda Delta. She has served the university as an ambassador, an organic chemistry tutor, a general chemistry lab teacher assistant and a supplemental instructor for organic chemistry. Recently, she was offered the prestigious National Institutes of Health Oxford-Cambridge Fellowship – she was the only undergraduate to receive the honor. 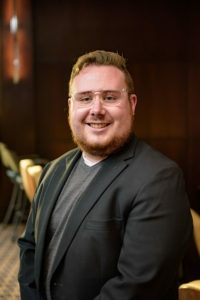 Ulrich was admitted to seven additional graduate schools in the U.S. and has decided to attend the University of Illinois Urbana-Champaign to pursue a doctorate in organic chemistry. She will graduate in May with a Bachelor of Science in biochemistry and a minor in physics. Students inducted into the Order of the Lighted Lamp for 2018 are Jasmyn Alexander, Alexander Archuleta, Haley Barnes, Erik Daniels, Riccardo De Cataldo, Grant Johnson, Gianna McWilliams, Nicholas Muniz, Paige Rombach, Ashlynn Schiro, Alan Vasquez Soto, Lyndsey Clos, Michael Dreherand Emily Esker. 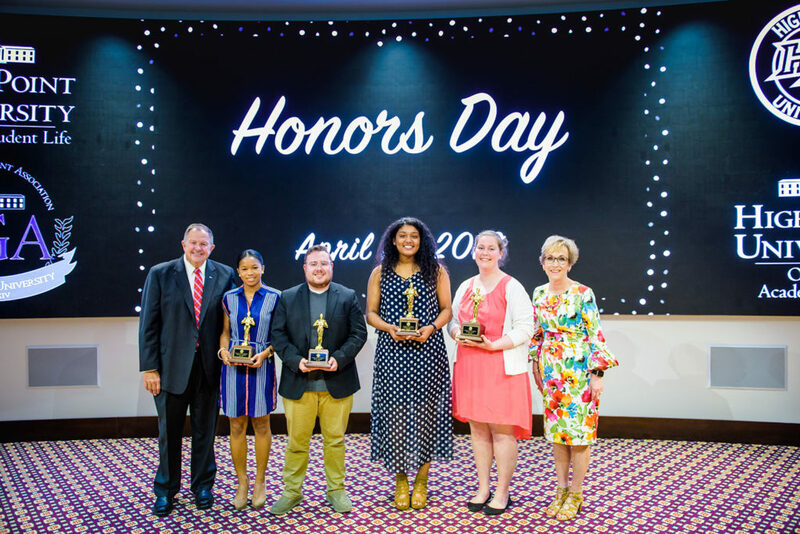 The Order of the Lighted Lamp recognizes leadership abilities and excellent character as well as academic achievement and service to the university. 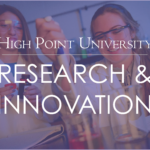 Established in 1935, the Order of the Lighted Lamp is HPU’s oldest honor society.